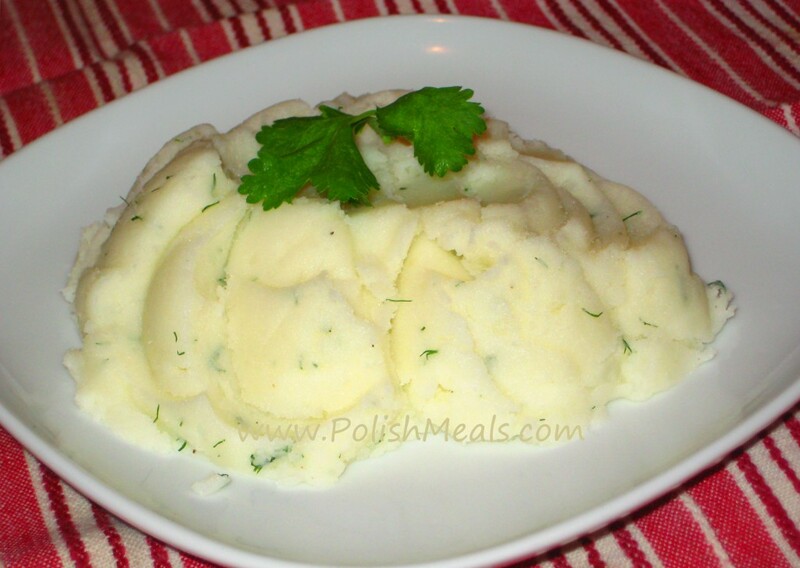 Most of the main courses in Poland are dished up with mashed potatoes. These starchy vegetable were introduced to Europe by Spain in 1536. 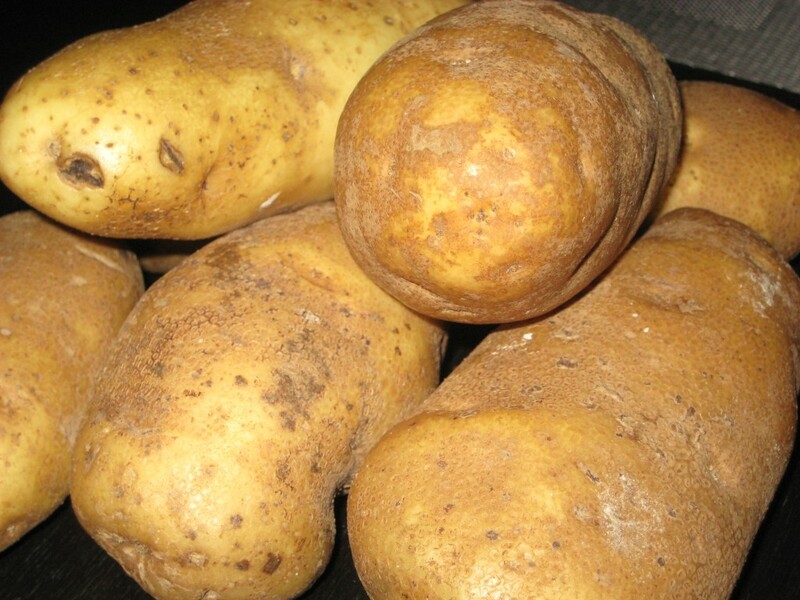 Once established in Poland potato became one of the most popular and easy to grow vegetables. The annual diet of an average global citizen in the first decade of the twenty-first century included about 33 kg (73 lb) of potato!!!!!! 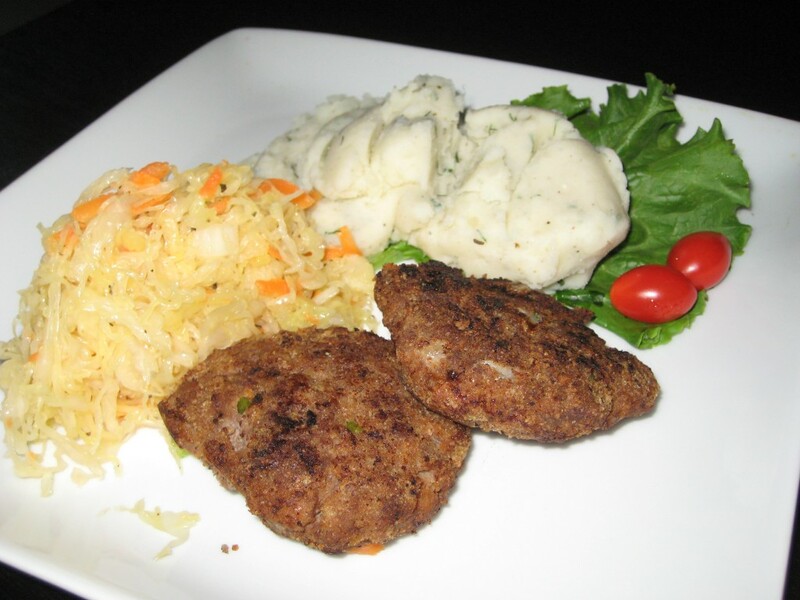 The potato contains vitamins and minerals, as well as an assortment of phytochemicals. A medium-size 150 g (5.3 oz) potato with the skin provides 27 mg of vitamin C (45% of the Daily Value (DV)), 620 mg of potassium (18% of DV), 0.2 mg vitamin Vitamin B6 (10% of DV) and trace amounts of thiamin, riboflavin, folate, niacin, magnesium, phosphorus, iron, and zinc. The fiber content of a potato with skin (2 g) is equivalent to that of many whole grain breads, pastas and cereals. In this video recipe I will show you how to make the best mashed potatoes ever!!! Posted in: Side Dishes. Tags: butter, dill, milk, potatoes, sour cream.